Many wonderful companies are trapped in a thread of common denial. They believe pressure and incentives are enough to support workers who live perennially on the leading edge of burnout. That equation cannot be sustained. But with one vital new ingredient, WhiteSpace, organizations can free their talented teams to deliver their most engaged work — and sustain that commitment far into the future. In this high-energy session, we examine the critical difference between activity and true productivity, between cramming in more tasks and selectively choosing to dive into the right ones with thoughtfulness. We also meet and arm ourselves against The Thieves of Productivity, a group of positive assets that often run amuck and trap us into low-value tasks. By examining the surprising downside of these attributes, we create a customized road map towards more WhiteSpace at the individual, team and organizational level. Lastly we explore The WhiteSpace Simplification Questions — four simple inquiries that provide endless insight and positive reframing around even the toughest individual and organizational hurdles. Employees today face many pressures in the Age of Overload: doing more with less, accelerating speed and the global 24/7 demands of always being ON. They're fooled into thinking they're more productive than ever. But is that true? Overloaded populations are used to their discomfort. But upon further investigation, it's clear that their companies are suffering from one or more deficits. Sometimes it's a quantity problem; you hear complaints about headcount and bandwidth. Sometimes it's a quality issue; work level is slipping, and there’s no time to think high-altitude thoughts. Or it's a sustainability issue; folks are surviving but asking, "How long can we keep this up?" Most suffer from a mixture of two or even all three. In this program, we consider a different path, one where a reductive lens helps pare back busyness and make room to reclaim and effectively use WhiteSpace. Also featured is actionable content that combats The Tools that Turn on You. These are support systems and devices that promise to improve our work style. In reality, they tend to defy boundaries, hijacking time and resources — think email, meetings, decks and more. Juliet successfully blends high-impact content and a keen understanding of clients' needs by helping them recharge their people and re-energize their business. She works with organizations to flip the norms of business for the better, with thought-provoking content and immediately actionable tools. 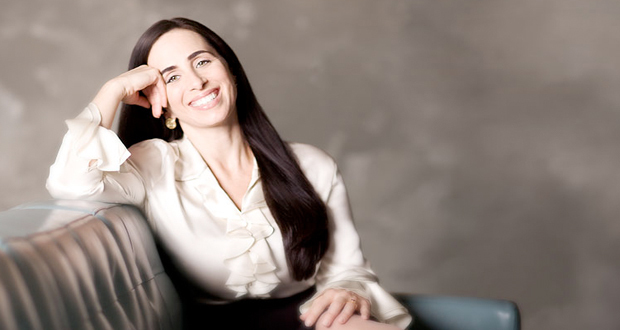 Juliet Funt is the owner and founder of WhiteSpace at Work and is a warrior in the battle against reactive busyness. It is her mission and that of her team to unearth the potential of companies by unburdening their talent. With thought-provoking content and immediately-actionable tools, she has become a nationally-recognized expert in coping with the Age of Overload in which we all live and work. Juliet helps attendees learn the pivotal difference between meaningless activity and true productivity. She teaches a streamlined method for personal process improvement, leading to more creativity and engagement. She helps executives, managers and teams answer the critical question, "What thoughts deserve my full attention today?" Incredibly intuitive, Juliet successfully blends highly-customized content with a keen understanding of clients' needs in her programs and consulting work. Yet beneath her powerful assets, she is both authentic and accessible. As a busy corporate speaker and consultant, business owner, wife and mother of three young boys, she practices on a daily basis the WhiteSpace concept she shares with clients. A WhiteSpace keynote or workshop is a guaranteed success for all involved. For leadership, who will find fresh ways of thinking about execution, legacy and culture. For the front line, who will be given immediately applicable tools to unburden themselves from the low value avalanche that hits them every day. And of course for the meeting planner or executive who will get all of the credit for sourcing this winner of a program. The smarter and more type-A the attendees the more they will identify with, and learn from the WhiteSpace body of content and set of tools. And the icing on the cake is that this session will be fast paced and even fun. You won't check your email the whole time. All WhiteSpace keynotes and workshops are presented by our vibrant and insightful CEO Juliet Funt. “Juliet's WhiteSpace content is colorful, funny, and filled with unique social commentary presented in a fun and valuable way. I recommend her to anyone that wants a program that can really combine substance and style." “Feedback was overwhelmingly positive – most specifically mentioned the effectiveness of Juliet’s engaging presentation style and use of humor to provide meaningful information. Her customized references were incredibly effective."